Moving On With More Reading Strategies - HAPPINESS IS WATERMELON SHAPED! 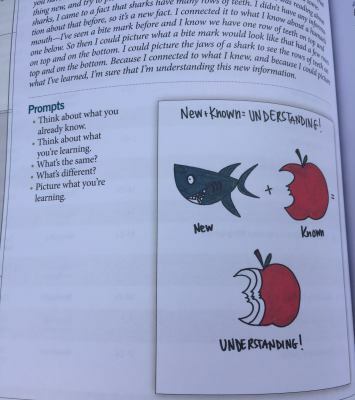 This goal is all about making connections between the text and what you already know in order to create an understanding of the new information. 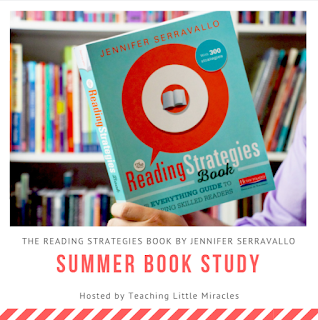 How I wished someone had taught me this strategy ~ write down what you learned from your reading. It was so difficult to write a book report because I couldn't remember any details I had read. 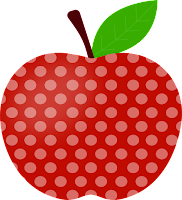 I love analogies and think that they are so fun to do when we have some extra time. They're like riddles! 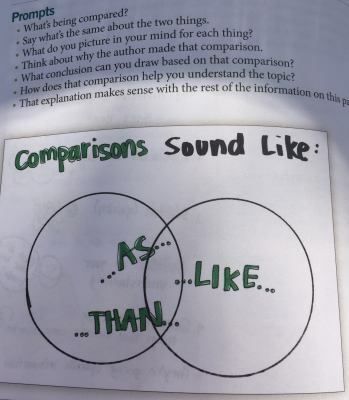 This strategy encourages readers to think of why an author would compare two things. This goal is HUGE and SUPER IMPORTANT with all the emphasis on non-fiction that happens to be on our state tests! Over the years, I've tried to add more and more non-fiction books to the mix in my classroom library - although I must admit - most of the books remain fiction ones. I'm always on the lookout for new non-fiction anyway! *Goal 10.4 - Caption It! One year during MCAS testing, a student asked for help (not that I could help) about a question that asked about the caption. She didn't know what a caption was. 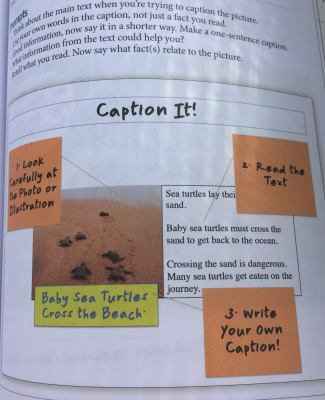 Now I make sure to teach and review captions all the time! Maps are educational and fun! I've spent the last two summer taking professional development that involves maps. Consequently, I am so happy to highlight this strategy. 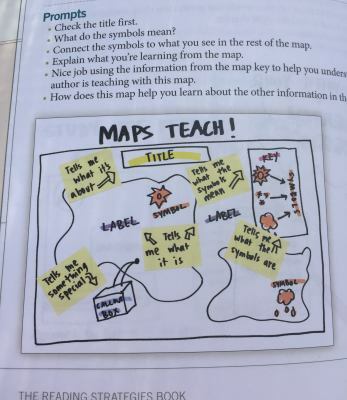 It's also helpful that maps are non-fiction text features, too! I also really like focusing in on maps, graphs, charts with the students as it adds so much to the overall comprehension of the text. I think the kids enjoy checking out all the non-fiction text features - it's still reading but it's just different enough! I do love analogies and puns! You featured a few strategies that I had taken note of, but didn't put in my post. 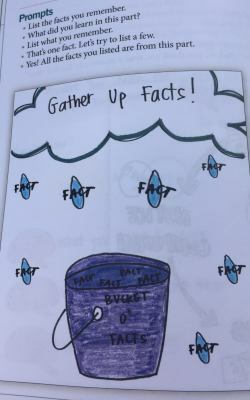 Love "Gather up the Facts" and "Caption it" strategies also. Thanks for linking up! That's what is so perfect about your link-up - everyone emphasizes something different! p.s. I love the background of your blog!